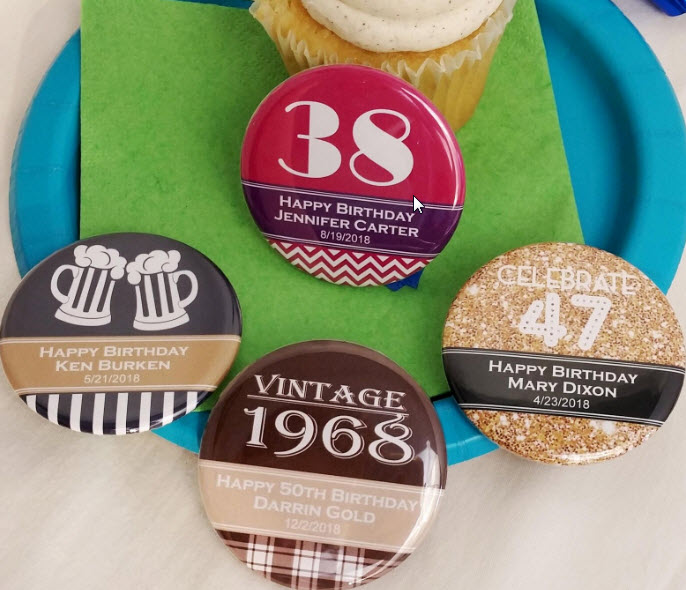 Add an interesting text to these colorful personalized birthday favors, and gift them to your party guests who made your day extra-special. 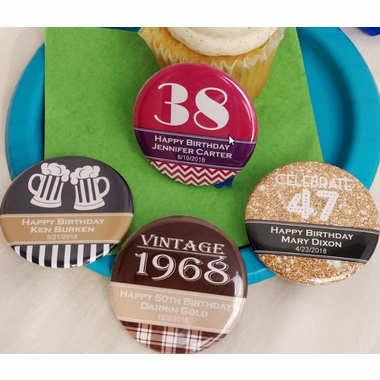 Choose from motifs like cakes, gifts, balloons, party hats or even champagne glasses to decorate the custom magnets or mirrors, and they will remind your loved ones of the exciting day they celebrated with you. 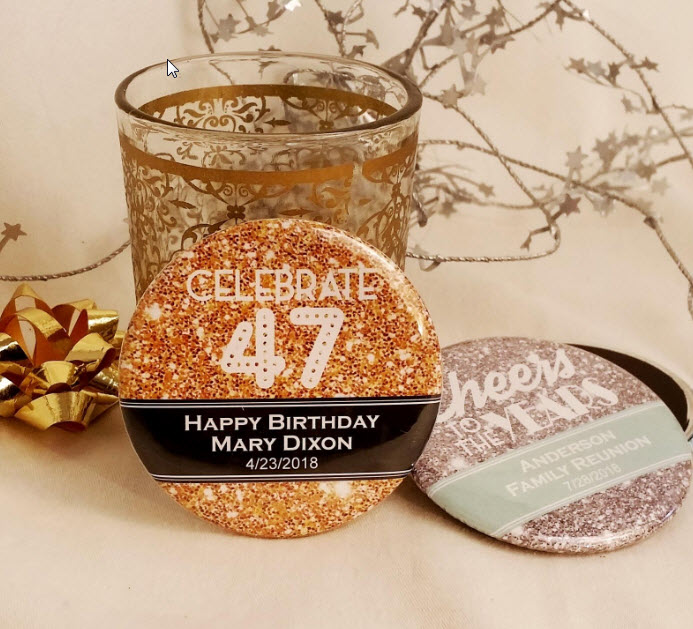 Party favors that are both practical and pretty, the magnets or mirrors will serve them well for a long time, and will be used over and over. 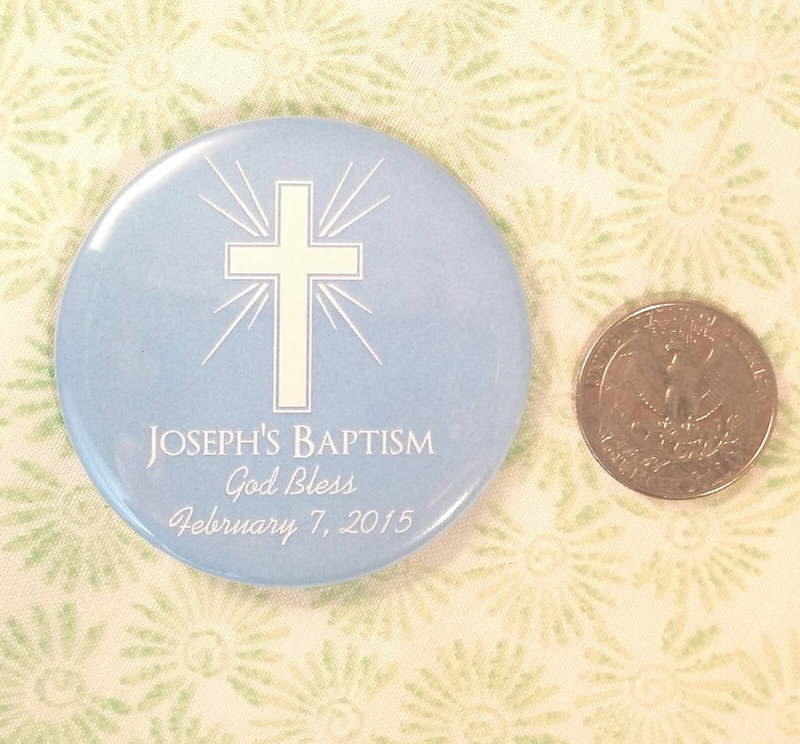 Each measures 2.25" in diameter. 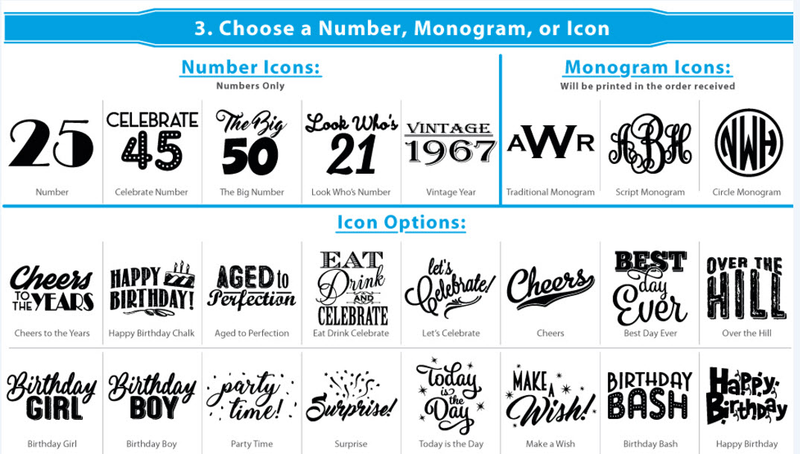 When personalizing these items, you have 20 characters of text in lines 1 and 2; there are 25 characters available for line 3.